water circulating through the two chiller condensers. 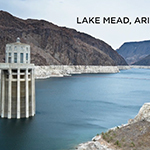 water use associated with heating and cooling,” the report notes. added chemicals and reduced water use by 32 percent. In all instances, Dynamic Water’s system met or exceeded expectations. the electrochemical system to treat industrial process water. Transwestern commercial real estate company and Gilead Sciences, Inc.